The alpha alloys are designed for resistance to creep at elevated temperature. They are not heat treatable in the conventional sense but they are annealed after forging to relieve stresses. The microstructure of alpha is essentially all alpha phase.Pure titanium and alpha alloys possess the highest corrosion resistance. More highly alloyed near-alpha alloys offer optimum high temperature creep strength and oxidation resistance. The alpha-beta alloys are those that include a mixture of alpha and transformed beta microstructures at room temperatures. They are heat treatable to very high strengths with a solution treatment and an age cycle. The widely used Ti-6Al-4V alloy. The beta alloys are those containing sufficient alloy content to maintain the beta phase when quenched, and which can also be solution treated and aged to improve strength. 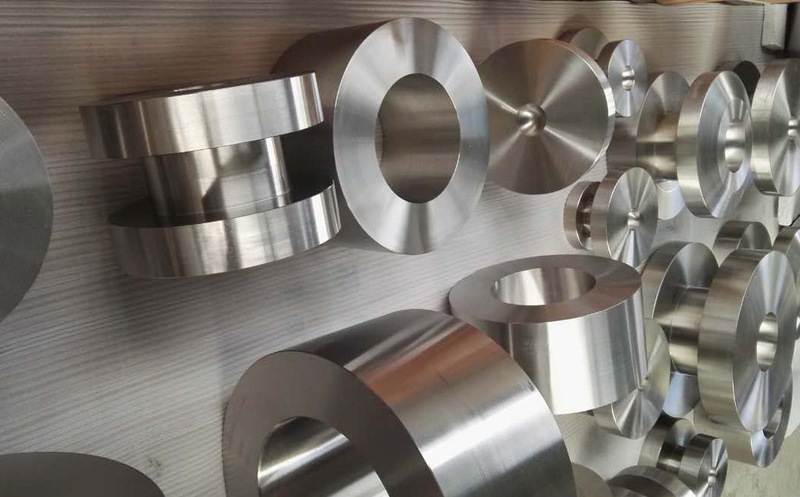 HEXON is specialized in titanium and titanium alloys such as commercially pure titanium, Ti-6Al-4V, Ti-Pd, Ti-3Al-2.5V, Ti-0.3Mo-0.8Ni, and other Ti-based alloys which are extensively used in aerospace, medical implant, chemical processing, engineering & machinery, power generation, nuclear and many other vital industries. We are able to supply custom-made titanium alloys and products through our mature VAR melting and further manufacturing processing. For any other alloy not listed but required, please contact us.